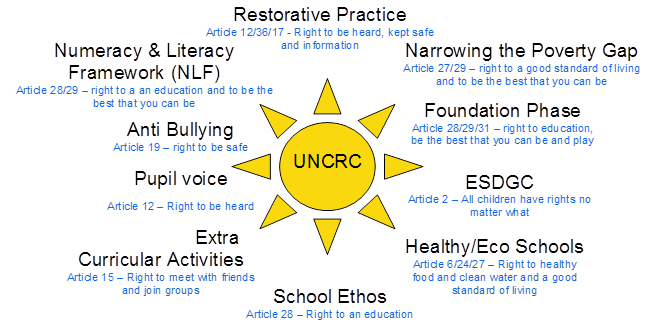 Being a Rights Respecting school means that we teach our children how to be upstanding, considerate and thoughtful citizens. They learn about their own rights as children, as well as of those around them, and how their actions and choices can have an impact on their friends, school and even the world around them. Fantastically, through the hard work of our staff and children, Front Lawn Primary have achieved the recognition of the Silver Award and are now working towards our Gold Award. This is an award which is given to schools on behalf of UNICEF. We also strongly promote pupil voice and encourage our children to give their opinions on issues both in and out of school. Each Year group has one UNICEF Ambassador, chosen as positive role models and as spokespeople for their year groups.